So anyway, with a 4 year old burgeoning LEGO fanatic in my house, I felt like I had to learn this stuff. And the other night whilst we were puzzling through the best way to build a Zombie Apocalypse-Proof assault vehicle with his assorted LEGO sets (Yes, my 4 year old is obsessed with zombies), he instead built a little chair. 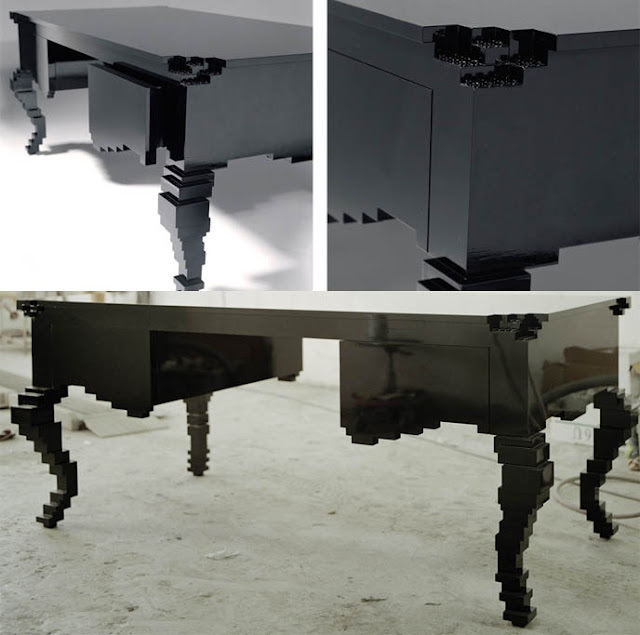 Which was pretty cool and got me thinking about whether I could use LEGO bricks to build actual furniture. And like every other good idea I've ever had, a 30 second Google search shows me that it's been done many times already. And really well in some cases. 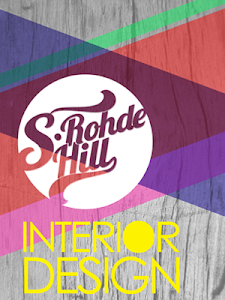 Still, this one's going in the DIY file. 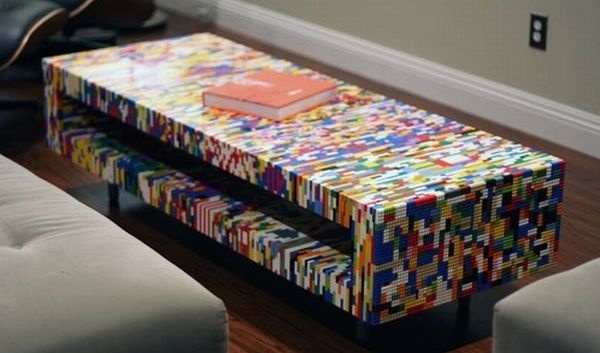 Who wouldn't want a LEGO brick coffee table? I guess there's really 3 ways to go here: 1.) 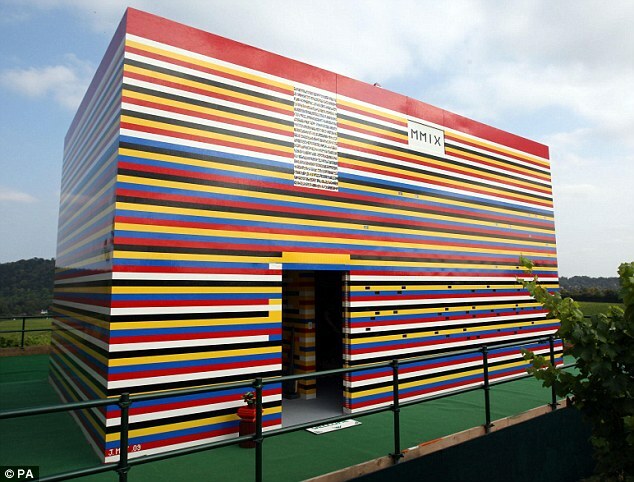 Build your chosen object out of solid LEGO bricks like it was a big model, 2.) 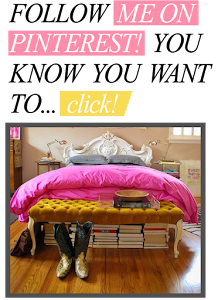 Cheat and just cover the surface of any existing object like a rectangular coffee table with a facing of bricks, or 3.) 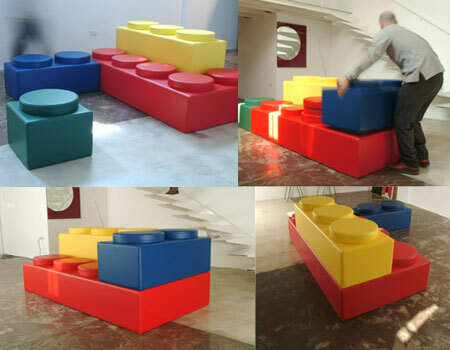 Get cheeky and mock up giant scale LEGO bricks. 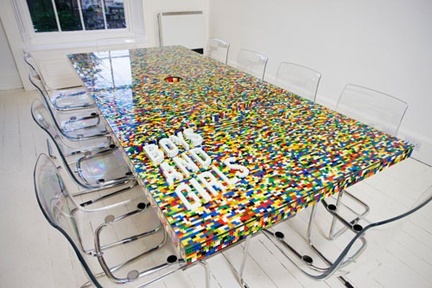 I think that I'd go with option 2 - LEGO is crazy expensive! 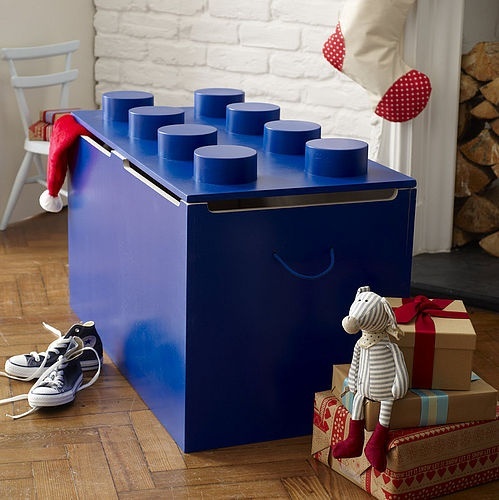 And that would cut the number of bricks I'd need considerably. I would definitely have to glue those suckers down though or I suspect that a few of them would walk off every day! Or you could always just BUILD AN ENTIRE FREAKIN' HOUSE OUT OF THE STUFF! How Many Times Can You Stack a Lego Brick Before It Stops Connecting? 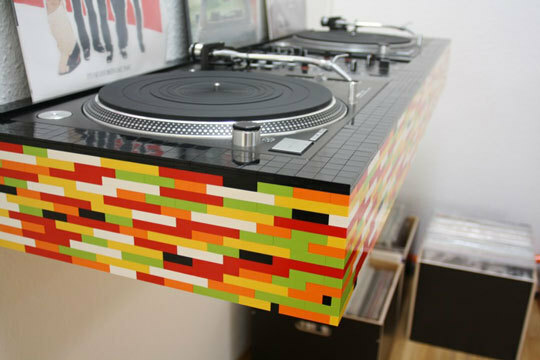 Not too fond of a lot of the furniture (probably too many colours in most), but the turntable housing is pretty awesome. 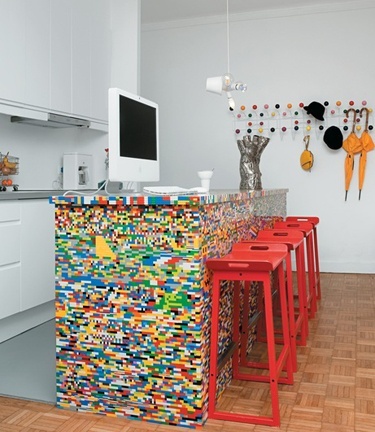 The bar might be good with just the top made from Lego, but all of the objects are pretty creative.